I started these “field games” quite a few years ago. I’ve used these many years to learn. Initially, I thought I had it all figured out with just a little exposure. Wow, was I wrong! All of these years later my perspective is totally different. I’m appreciating how much more there is still to learn. I have watched a lot of dogs now. I wish I could say I’ve watched even more but, I l know I’ve watched enough to have an *informed* opinion. Watching so many dogs gets my mind turning. Sometimes the turning is delayed, coming quite a bit after an event, training day or hunting day. This morning my big ponder is about the heart of a competitor. What does *the heart* of a competitor look like (obviously speaking figuratively here)? Whatever it is, it’s what separates the average dogs from the true, natural-born champions. I’ve heard many different descriptions of what this “heart” looks like. A common one is “the dog who makes you sit up in your saddle.” This is a purely objective rule of thumb. What makes me “sit up” may be completely different from what makes another sit up. It’s a good description though. Once you’ve watched a lot of dogs you’ll also realize what they show you can depend on the day and even on the stake (or any other specific time a dog is on the ground). So, to me, “the heart of a competitor” is *the dog who is consistent* in delivering *that sit-up-in-your-saddle* performance. Note: I used the word “performance” and NOT “run“. This is a *big* difference to me likely because I come from a breed not typically known for “big run” as is said by those who play these games. ;-) To me, “performance” is the whole enchilada. “Run” is just one piece of it. There are the few — the dogs with the heart of a competitor. Whether their “heart” has been dimmed or outright destroyed through training is a whole other topic I won’t go into here. However, given the harshness of much of the training that goes into this “bird dog” sport, it deserves a mention. Back to what I wrote above: They are the few — the dogs with the heart of the competitor. They’re the ones who show up when it matters. They show up on game day, ready to win. They put down performances that make an observer’s heart soar. They unfold a tale you just don’t want to ever end. They make you want to keep turning those pages. They are the few — the dogs with the heart of a competitor. These dogs aren’t robots and so even they have “off” days. But their off days are rare–again, consistency. 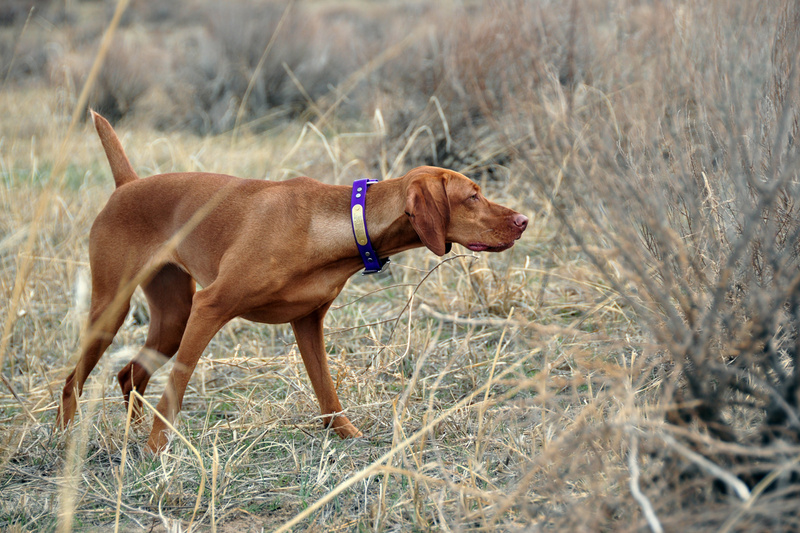 I’ve heard many times as we head out from the field, and I’ve even said it myself, “why doesn’t my dog do this when it really matters?” I’ve watched dogs, even my own, on a training day or a casual hunting day looking like a million bucks. I’m unaware of time as I watch these beautiful creatures show me brilliant decisions with seemingly little effort. And, I wonder “Why now? Why not when they’re competing or testing?” I’ve lost much sleep thinking on this “why” and what I could do to influence the dog who isn’t giving the performance I want to see–how I can get them to *consistently* give me exceptional performances. As I drink my morning coffee, considering this again, I realize the answer is much simpler than I thought. The answer is: They are the few — the dogs with the heart of the competitor. They’re born that way. Their genetic make-up is just an awesome blend that came together just right. ← Welcome to the Frat Party a.k.a. I’m not socializing my puppy that way so go away.